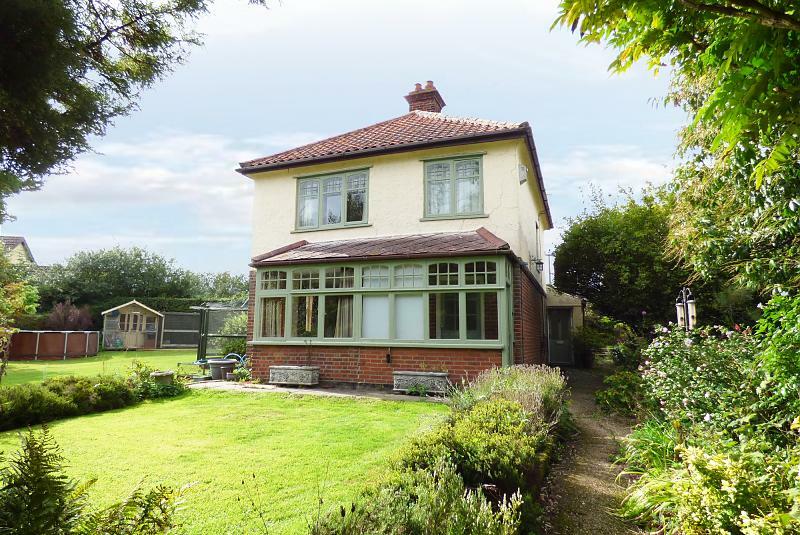 This 1930s character property known as 'Four Winds' where its name comes from its fantastic standalone elevated position enjoying gardens from all four aspects, This beautiful detached property offers a typical style build of the era retaining many of its original features with details including original doors to the majority of the home. Some updating is required to bring this home to its full potential. 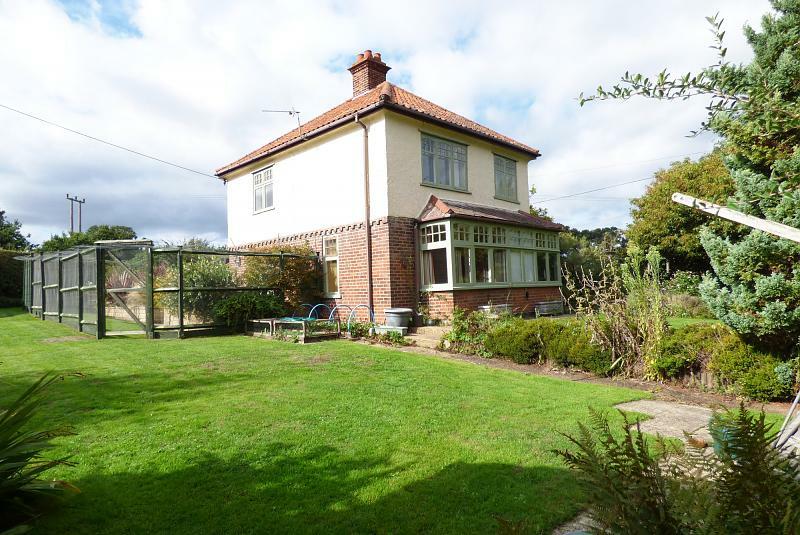 This particular property is a rare opportunity to purchase and acquire the perfect family home, however it also has the opportunity to grow with you as the years go on (subject to relevant planning permissions). Internally the property comprises of entrance porch through to reception hallway, well-proportioned sitting room, dining room/second sitting room, attractive kitchen with walk-in pantry and utility room, downstairs shower room, study room, rear storage/boot room to the ground floor; whilst upstairs the property enjoys bedrooms one, two, three and family bathroom. 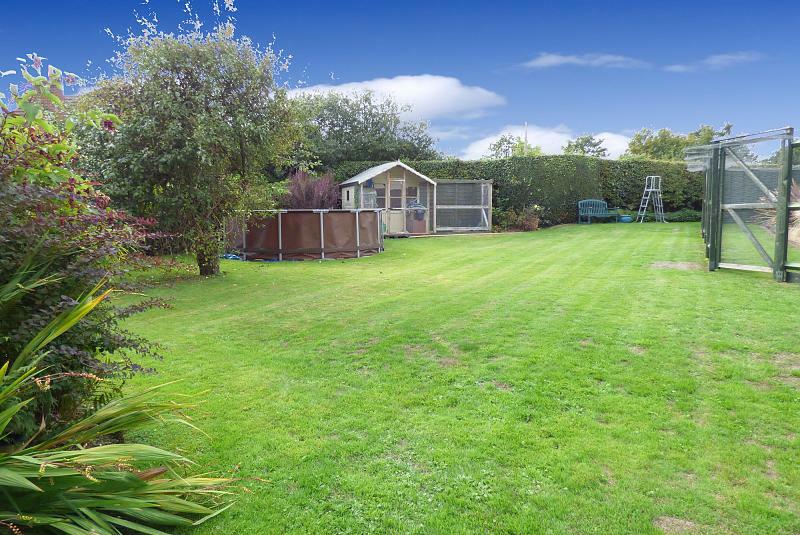 Externally the property boasts a large amount of outside storage areas with power making it ideal for outside work space, there is also an attractive summerhouse to enjoy the stunning garden views and a double fronted cart lodge for further storage. Further wrapping around the front is a vast area of driveway perfect for the largest of families. Original staircase to first floor landing, double radiator, original doors through to sitting room and dining room, a paneled area to the entrance hallway which could have previously given access to what is now the walk-in pantry, four panel door giving access through to the under stairs storage cupboard which houses the Ideal gas boiler serving domestic hot water and central heating throughout the property. Dual aspect room with large bay window to front aspect with original windows with secondary double glazing enjoying the beautiful gardens, side aspect original window, two double radiators, feature red brick fireplace with red tiled mantle and tiled hearth with display niches (could potentially be an open working fireplace). 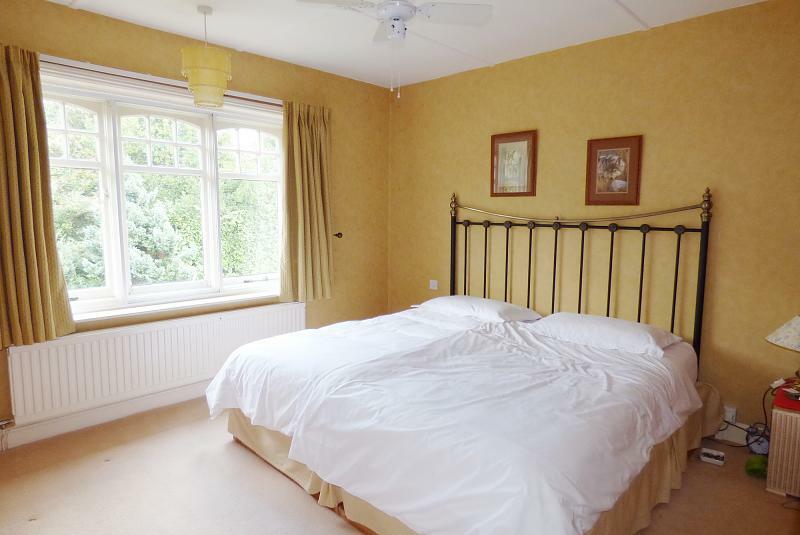 Dual aspect room with French style doors giving access to the outside terrace and side aspect window giving views towards dining terrace, double radiator, two wall light points, ceiling light point, original door through to kitchen. 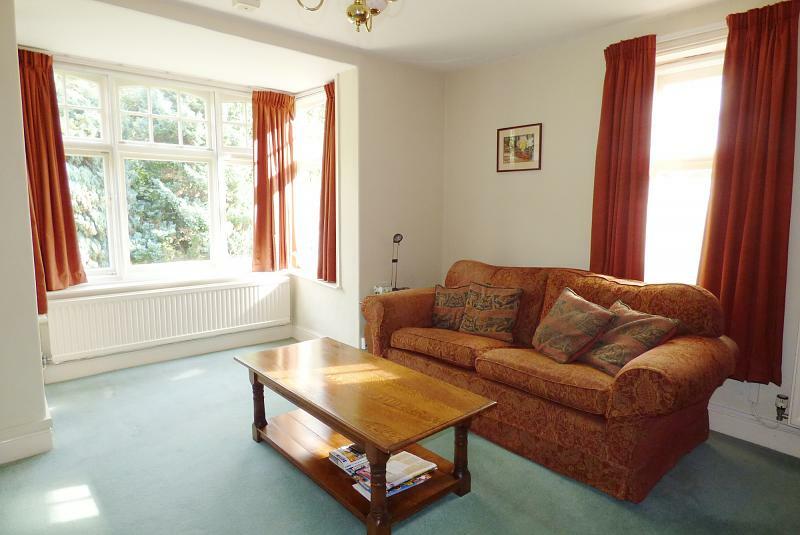 This room has previously been used as a formal dining room but has most recently been used as a second sitting room to enjoy the excellent garden views. 13'3 (4.04m) x 9'6 (2.9m) MAX. 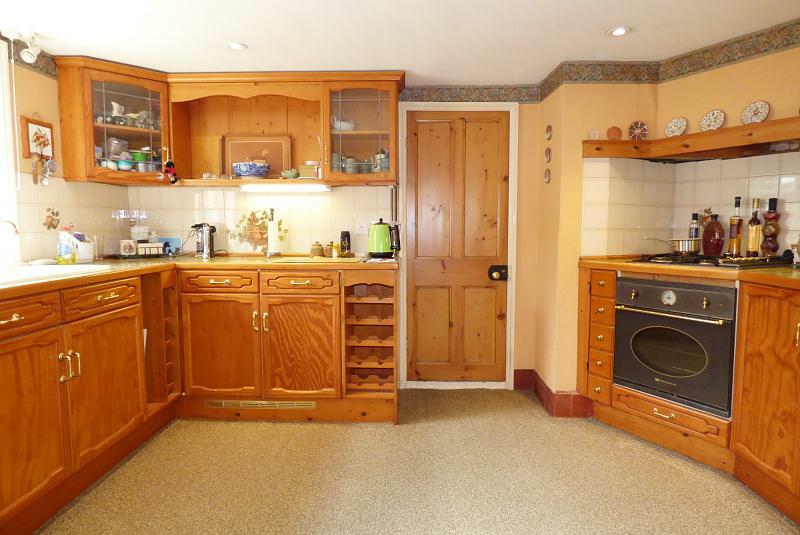 A range of real wood fronted fitted base and wall units with wood edged tiled top work surfaces over with inset single drainer sink with mixer tap, tiled splash backs, two glazed fronted cupboards for display purposes, inset spotlights to ceiling, open dresser area for display, under cupboard lighting, integral cooker with a White-Westinghouse country style fan assisted oven set beneath a four ring coordinating gas hob set within work surface, integral slim line dishwasher, window giving views towards dining terrace, two double radiators, original door leading through to walk-in pantry, timber and obscured glazed secondary entrance door, four panel strip pine door leading through to the utility room. 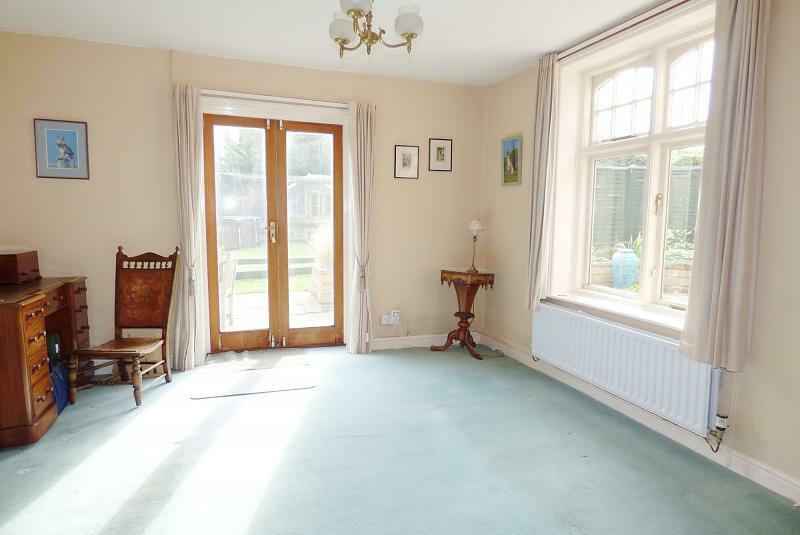 Offering the perfect space for an upright fridge-freezer, vast area of shelving, smooth finished ceiling, side aspect window with side garden views. Roll top work surface with storage cupboard beneath, plumbing for washing machine, space for further appliance, side aspect cottage style window with side garden views, smooth finished ceiling, access to loft void, double radiator, door through to downstairs shower room, batten and brace cottage style door through to downstairs study and door through to storage room giving access through to a water softener(included). Three piece fitted suite in cream comprising of corner style tiled shower cubicle with mains pressure shower set within on riser rail with extractor fan and glass cubicle door, close coupled W.C, corner style hand wash basin with tiled splash back, window, smooth finished ceiling, inset spotlights, radiator. Window giving views towards side garden area and open to fields beyond, an array of fitted units comprising of desk and storage area with controlled panels, shelving and storage cupboards, smooth finished ceiling, spotlights, pine framed insulated door leading through to the rear storage room. Obscured glazed French style doors leading out to the outside terrace area. This room creates a perfect space for rear boot room access or as currently used with fitted shelving for an array of garden storage. 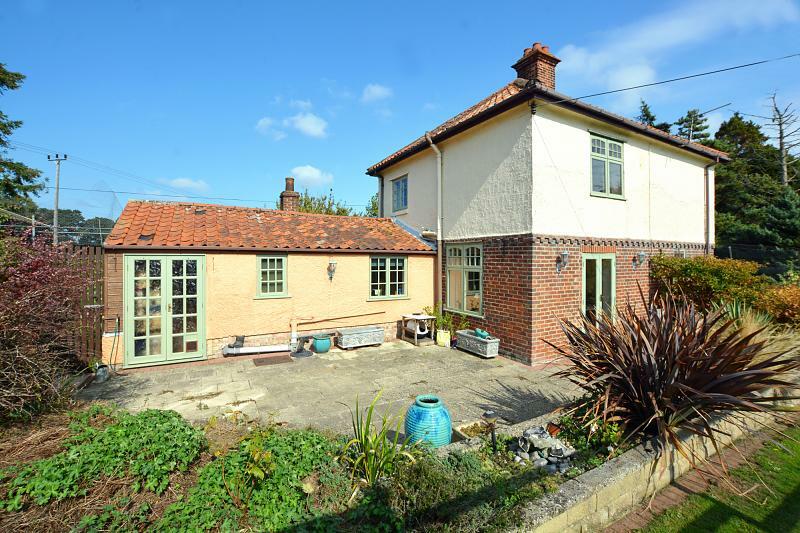 Side aspect window at mid-point offering field views, galleried landing, radiator, four panel stripped pine doors through to bedrooms one, two, three and family bathroom. Victorian style fireplace with pine surround and mantle, original strip pine double wardrobe giving access to a mixture of hanging rail and shelf space with drawers beneath, triple sliding timber beveled edged mirror fronted wardrobe giving access to further array of hanging rail and shelf space, secondary glazed front aspect window giving excellent front garden views, radiator. 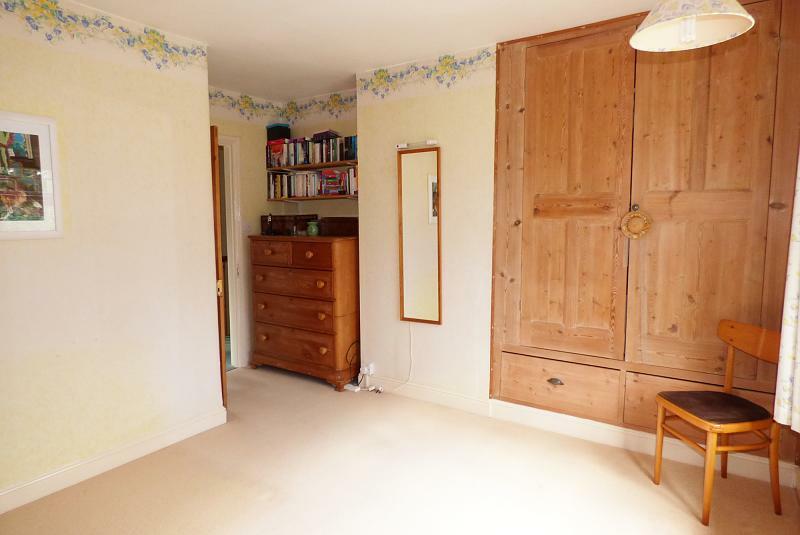 Beautiful original strip pine double wardrobe with double four panel doors through to hanging and shelf space with two original pine drawers beneath, double glazed cottage style window with garden views, smooth finished ceiling, double radiator. 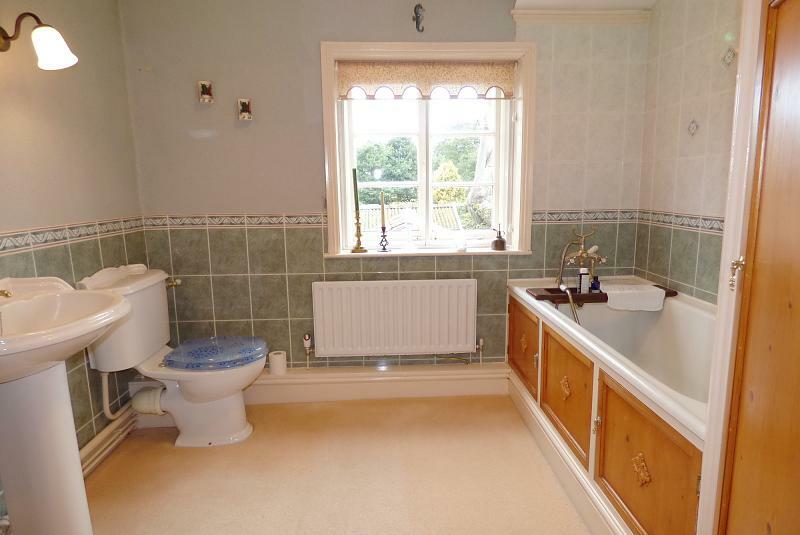 Radiator, front aspect secondary glazed window with excellent front garden views. 8'8 (2.64m) x 7'6 (2.29m) MAX. Three piece fitted suite comprising of bath with Victorian telephone style mixer attachment over in tiled shower area, close coupled W.C, pedestal wash hand basin, tiled splash backs to dado rail height, two wall light points, ceiling light point, access to loft void, door giving access to airing cupboard housing the pre-lagged hot water tank and slatted shelving above, secondary double glazed window giving rooftop and field views. 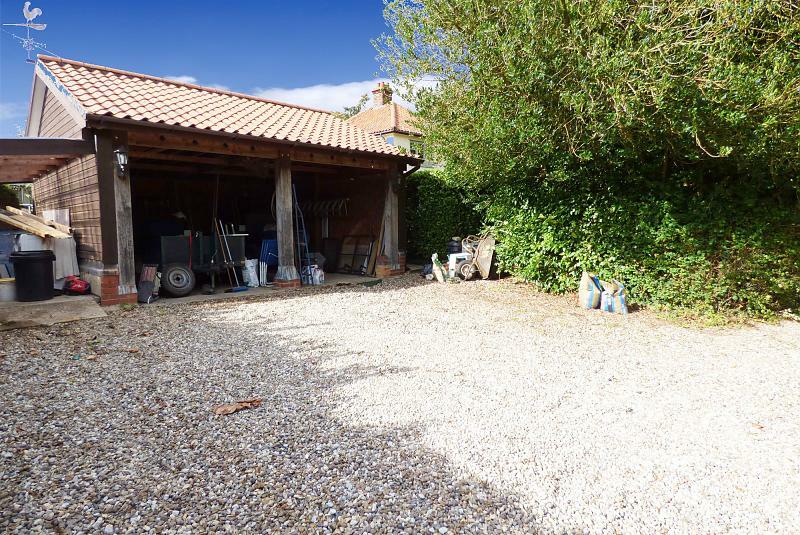 To the front of the property is a large driveway laid to gravel which sweeps across the front of the house and leads up towards the detached double cart lodge and timber and tiled storage shed with power and light connected. 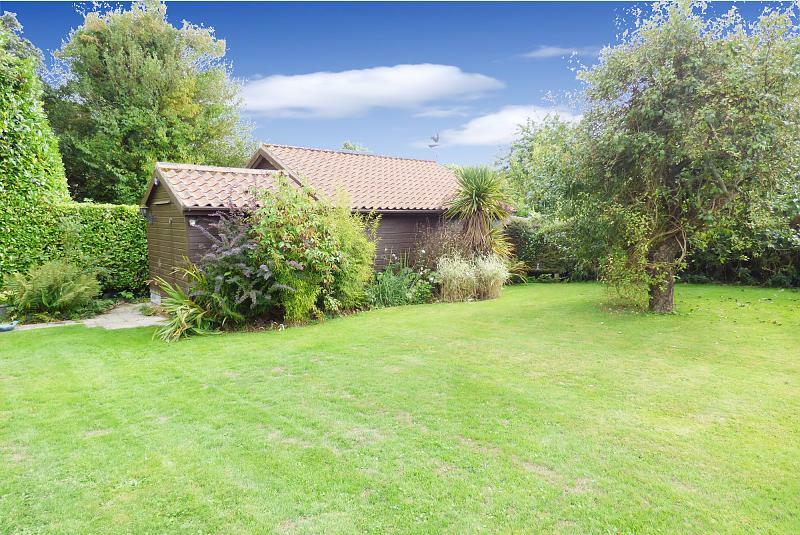 The property offers a real degree of privacy being enclosed by an array of mature ferns, evergreens and plants, with an attractive wooded area to approach the property through. 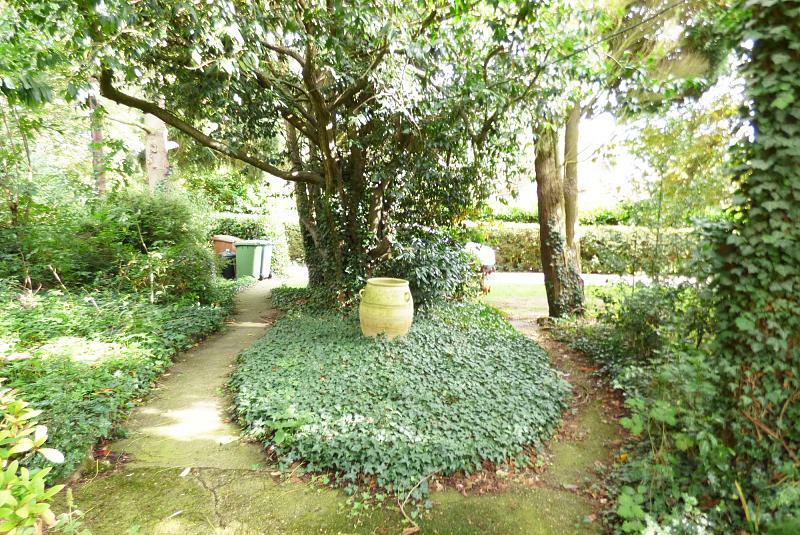 To the immediate front of the property is a useable laid to lawn area enclosed by a mixture of lavenders and scented plants with pathway access to front door. 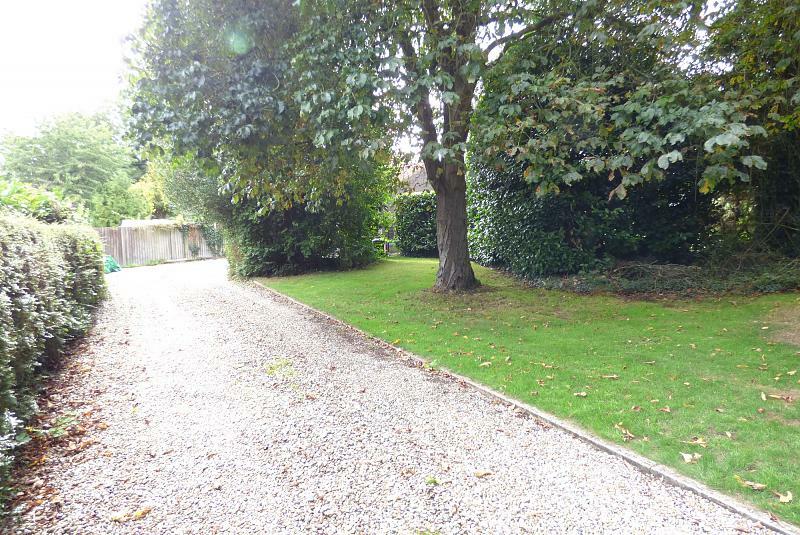 To the side of the property is a mainly laid to lawn area enclosed by a large range of palms, plants and shrubs and has a mature apple tree. 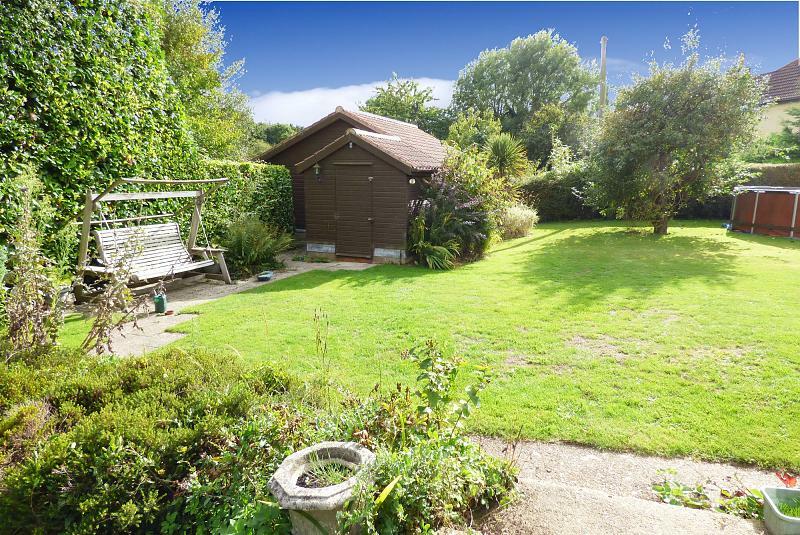 This side garden currently has an above the ground pool (available by separate negotiation), timber summer house with power and light connected. 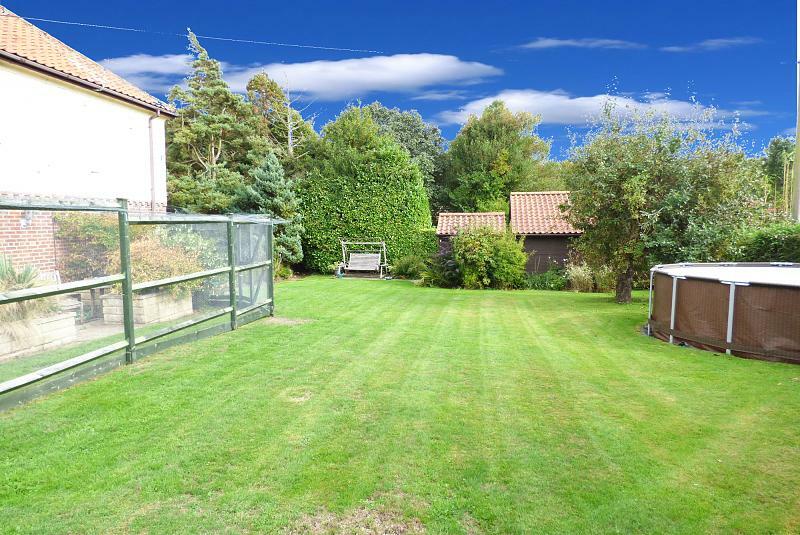 The garden then further wraps around to the outside terrace area which can be accessed via the dining room or boot/storage room and is further enclosed by low brick walling and a wide array of plants, trees and shrubs. This area is currently additionally enclosed to create a safer area for pets (further enclosure can be removed). To the rear of the property are two storage shed both with power and light connected, with the garden wrapping around to an attractive laid to lawn garden housing the gas central heating service tanks and is enclosed by a mixture of mature hedging and shrubs, outside tap, outside lighting, outside power supplies. Power and light connected, loft storage space, inspection pit, lean area to the side for storage. Leave Norwich City Centre heading towards the A147 to Great Yarmouth, follow the road over the Brundall roundabout taking the first exit, take the first slip road sign posted Blofield Heath, at the top of the slip road bear right, taking the first right again where the access to Lower Globe Lane is on your right hand side, enter into Lower Globe Lane turning immediately right into a small area of road, where the gravel driveway to your left leads to the property.